After an icy climb and sometimes exsposed we reached the summit of this smaller hill in the Lakes. 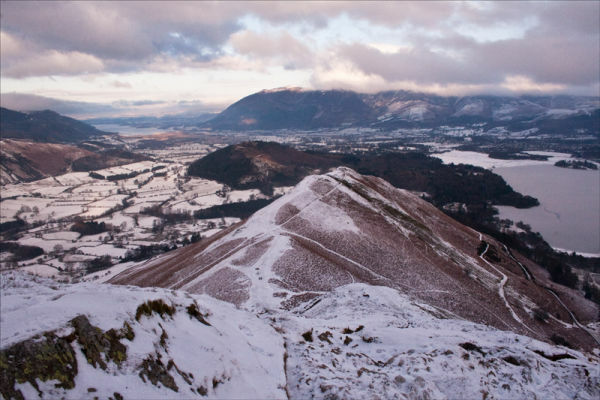 The view afforded over Keswick, Derwent Water and onto Skiddaw were worth the effort indeed. It was an amazing view from this location !